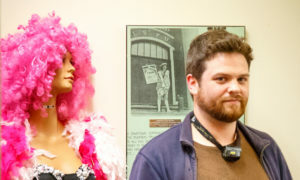 After a lengthy wait “the machine” – a film shot and edited at the Black Bag Media Collective studio in St. John’s – premiered last week at the 2nd annual TrixXxieFest. There was a lovely crowd in attendance including many members of the cast and crew. 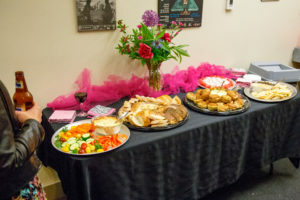 The film opened this year’s TrixXxieFest and was followed by a reception. Before the film is made available online it will enjoy a little trip around the world via the film festival circuit – stay tuned to theblackbags.com for news of upcoming screenings. 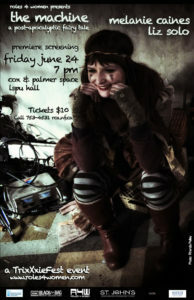 Set in a dystopian future St. John’s “the machine” is a ‘cyberpunk fairytale’ starring Melanie Caines and Liz Solo. 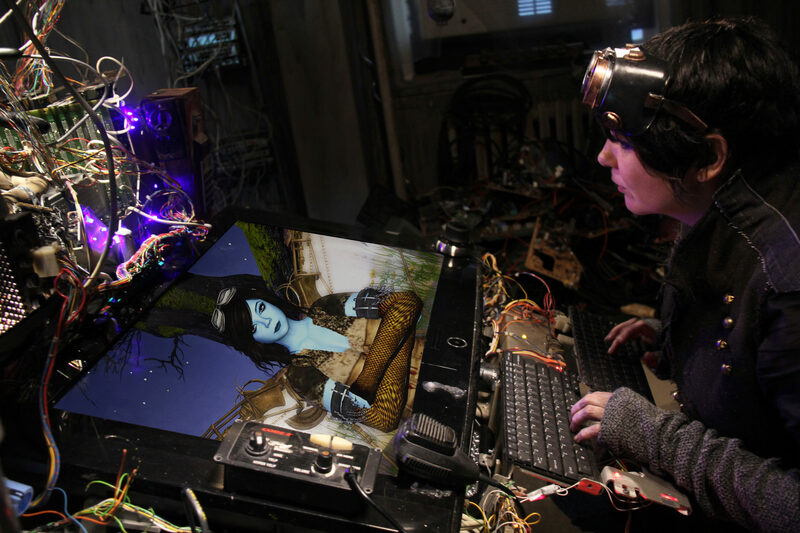 “the machine” mixes up HD animation with machinima – shot on our group of online grids known as The Odyssey Simulators. Photo on the left and at the very bottom by Justin Hall. Photos from the screening by Rick Tizzard. Melanie Caines as The Clown.